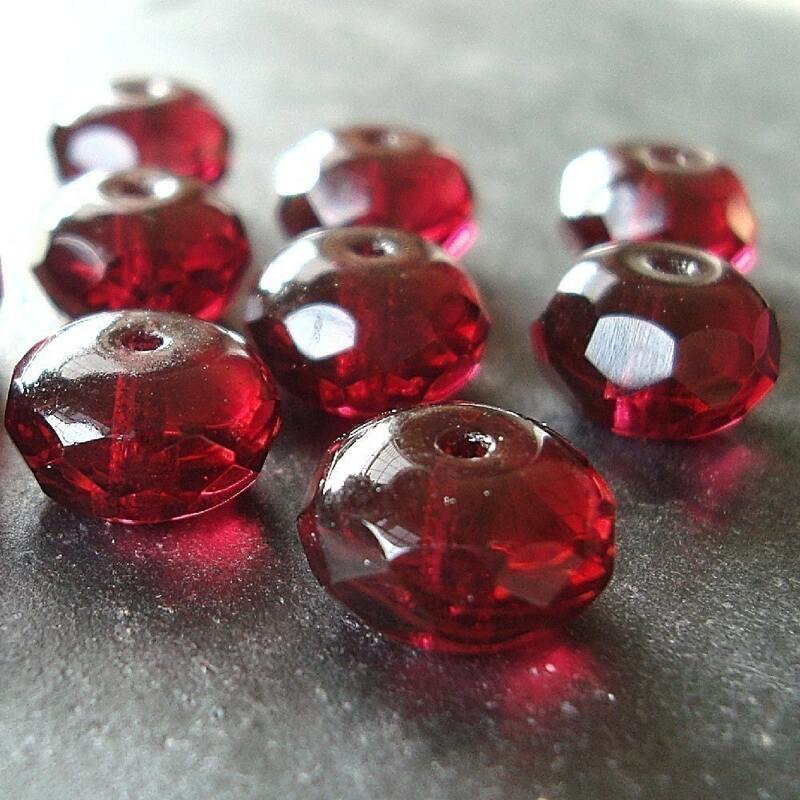 Unique glass beads, semi precious beads, pearls, findings & supplies at BeadFrenZ - This listing is for 12 pieces of gorgeous, premium 11 x 7mm Czech fire polished glass fat rondelle beads in a gorgeous cranberry garnet red color. 5% of the proceeds of this listing will be donated to the American Cancer Society through ETSY Project Embrace. To make your own donation online, visit our personal fundraising page.